I always felt there was something wrong (and I was a bit resentful without having that bigger picture understanding) with the way the toys I liked never had girls playing with them in the ads or on the packaging, or the characters in Adventure novels that were having all the fun were nearly always boys. So my solution to this puzzling omission was to make the characters female (particularly for movies and books) in my mind and imagine myself chasing pirates, fighting off aliens, and saving wild animals from poachers and circuses…EASY! Once I became a bit older it all became crystal clear. 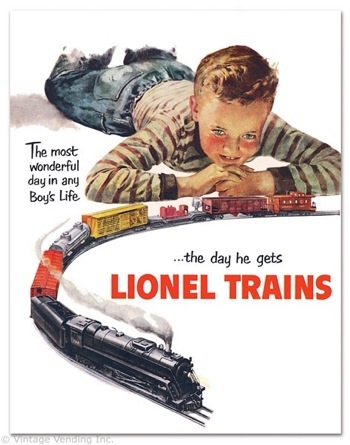 Two comments from my father will always stay with me and still make me bristle: “Girls don’t have train sets” (the response to my wish for a train set for Xmas one year, my brother got it despite not actually wanting one and I got a barbie…true story! GRRRR) and “Girls are nurses not doctors” (after announcement of my desire to go to uni to maybe study medicine…. GRRR squared! well, that was far too much study thus I became a scientist majoring in botany and entomology instead). Guess it took a while to know what it was all about: hello feminism! Thanks dad! And yet again, that devaluing qualifier “female” rears its ugly head when describing a job, an activity, an idea…. Sounds a lot like “not bad for a female [insert noun]”. That good ole standard complement A.K.A backhanded insult. So, let’s be clear…they are SCIENTISTS…NOT LADY SCIENTISTS or GIRLY SCIENTISTS……They aren’t smart or clever for a girl or….anything despite being a girl!!! They aren’t female musicians, female politicians, or even actresses (actor please!). When do you hear men given the same labels? Male musician? Male politician? As we know, it is implied that the people in these roles are male….unless you are a male nurse of course. Test yourself: what gender is the image of a doctor in your mind’s eye? C’mon, bet it was a male and not a lady doctor. Thus as Case so eloquently put it “DONT PEGGY OLSON ME”….. Cold War Femme: Lesbianism, National Identity, and Hollywood Cinema. With his third book Cold War Femme, Robert Corber expands upon his previous scholarship on the intersection of homophobia, Hollywood and American Cold War identity by exploring the film industry discourse on the femme lesbian. Corber aims to understand the femme both as a queer figure distinct from the butch lesbian, and as an allegedly anti-American outgrowth of women’s demands for equality. Through close readings of films in Part One, and a star studies approach in Part Two, Corber persuasively argues that the coded representations of femme lesbian characters reflected their construction as a direct challenge to heterosexuality, thereby destabilising the traditional family structure which insulated the American identity against Communism. Through the trajectory of Hollywood’s lesbian discourse, the book explores not only sexual presentation and gender performance in film, but also how concepts such as frigidity, homosociality, motherhood, domesticity and career ambition were deployed to pathologise lesbianism and bolster the Cold War sexual agenda. Corber’s 23 page introduction includes a 19 page tour of the dominant trends in psychoanalytical and sociological opinion of female sexuality in the twentieth century. As scholarship developed awareness of the femme lesbian, her feminised gender performance made her an object of censure and paranoia due to the camouflaged threat she supposedly posed to the perpetuation of America’s normative family life. A provocative and absorbing read, this tour also provides essential theoretical underpinning to Corber’s subsequent film analysis, and lends authority to his interpretation of Hollywood’s susceptibility to, and manipulation of, the Cold War culture of sexual paranoia. Part Two effectively complements Part One’s film readings with detailed explorations of how homophobia affected the production and promotion of female stars, and how their personas influenced the presentation of gender and sexual norms within films. Corber also highlights the contradictions within the discourse, such as the contrast between Bette Davis, whose sexual illegibility was subsequently pathologised as lesbian, and the wholesome Doris Day, whose tomboyish masculinity resisted construction as lesbian because her characters ultimately assimilated into heterosexual lives. The validity of Corber’s analysis relies strongly on the introduction’s literature review, which is persuasive, however his avoidance of chronological arrangement of information can produce unnecessary confusion. This would arguably have been a more lucid structure for his analysis, given that the material correlates directly to sequenced events such as trends in thought, career trajectories and backlashes against earlier discourses. Nonetheless, Corber’s obvious passion for the combined study of film, gender and sexuality is well-suited to reveal the fascinating intersections in the field and he offers richly detailed evidence without sermonising. Not only solidly argued, the book is also nearly as much fun to read as the referenced films are to watch. 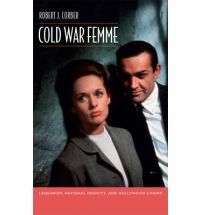 Cold War Femme offers valuable insights for any reader interested in filmic representations of female sexuality. With this book, Corber redresses his admitted previous neglect of lesbian history as non-distinct from gay men’s history, and he triumphs in his goal of bringing analysis of Hollywood’s femme lesbian into the broader picture of American women’s history. Excellent piece by Clem Bastow on why the new trend of “aspirational toplessness” in fashion mags is just a new spin on the old rubbish. “Media ideals tell us that her body is not “acceptable”, thus the baring of it is considered brave.” …Clever trick indeed, you crafty bastards! It’s your choice to be a feminist or not – but that doesn’t mean feminism is about choice. Oh, those magic, debate-ending words: “feminism is about choice”. If I never hear them again I’ll consider it a victory but I seem to hear them more and more these days. Being a woman does not automatically make you a feminist – so why should feminists endorse the choices of all women, as a feminist act? I am mostly baffled by this expectation. Feminism is an ideology that seeks to enable the equality of the sexes by addressing gender-based limitations and degradation – which is an endeavour far more complex and nuanced than those words. Of course free choice is a vital feature of that, but advocating purely for free choices without a vision of the society you wish to achieve seems like getting a license in order to drive around aimlessly. Where are our choices taking us? At most, “freedom of choice” is a mechanism through which we can actually achieve some of our feminist goals. It is both an indication of freedom and a means of exercising it. But at its least, it is a philosophically thin but basic requirement of a life not lived as chattel. Surely we can aim for more than that? It seems unwise to stop analysing the context in which our options are incubating, and it begs more questions than it answers: What kinds of choices are we limited to by our society? How do my choices affect others? How do we go about making changes if we are unhappy with our society? The “feminism = choice” distillation cannot meaningfully address these. What’s worse, this choice-adoration smacks suspiciously of pro-consumerist cheer leading. And what a distraction! We are loudly assured by companies competing for our (supposedly) almighty consumer dollar that we have power as consumers and that the way to wield it is to make a choice. The winning object is the anointed Chosen-One… Cue choirs of angels and warm glows of satisfaction all round (except for The Non-Chosen – those losers!). By this process, the mere act of choosing anything has become exalted in our consumerist culture, entirely equated with an act of self-determination. Unfortunately, this thinking has also bled into the spaces where our hearts and minds ought to be evaluating ideology and creating vision. The cultural world in which gender issues exist is not akin to a free-market economy. Whichever way you slice it, feminism is unavoidably about gender-based repression, not purely about free choice. The current pressure on feminists to refrain from analysing the choices any woman makes, based entirely on the fact that she’s a woman, just seems counter-productive. And if you think something is unjustly tagged as “non-feminist” then argue the point and try to convince. How else do we learn if not by thoughtfully challenging, listening and engaging in debate? But the idea that every choice a woman makes must never be remarked upon or analysed is just a form of self-gagging that is ultimately self-defeating: “Ssshh, lady! Women are making choices here!” It reduces feminist debate to an exercise in nonjudgemental peer-endorsement. If you need unconditional acceptance of your life choices, perhaps join a support circle. If you crave the thrill of the choice, try your local Smorgasbord every night. But if you envision a world in which women and men challenge and subvert the gender-based expectations and limitations of today (even if you’re not sure how!) then feminism is for you.